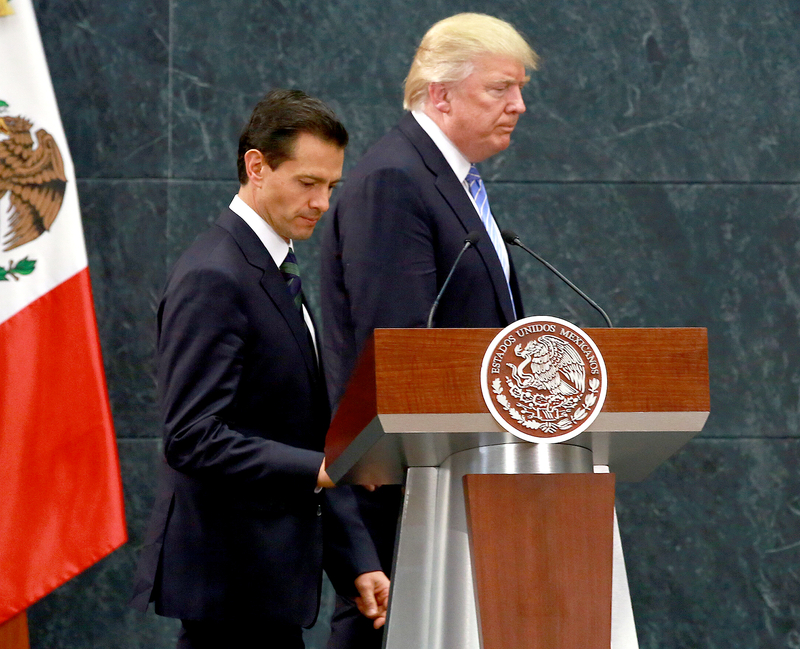 President Donald Trump urged Mexican President Enrique Peña Nieto to stop publicly criticizing the border wall in a January 27 phone call, according to transcripts obtained and published by The Washington Post on Thursday, August 3. “What I would like to recommend is — if we are going to have continued dialogue — we will work out the wall. They are going to say, ‘Who is going to pay for the wall, Mr. President?’ to both of us, and we should both say, ‘We will work it out,'” Trump, 71, said to Nieto, 51, just one week after taking office. The Washington Post reported that the previously unreleased documents were prepared by members of the White House staff. The newspaper also published a transcript of Trump’s January 28 call with Australian Prime Minister Malcolm Turnbull.